A security team led by Lt. j.g. 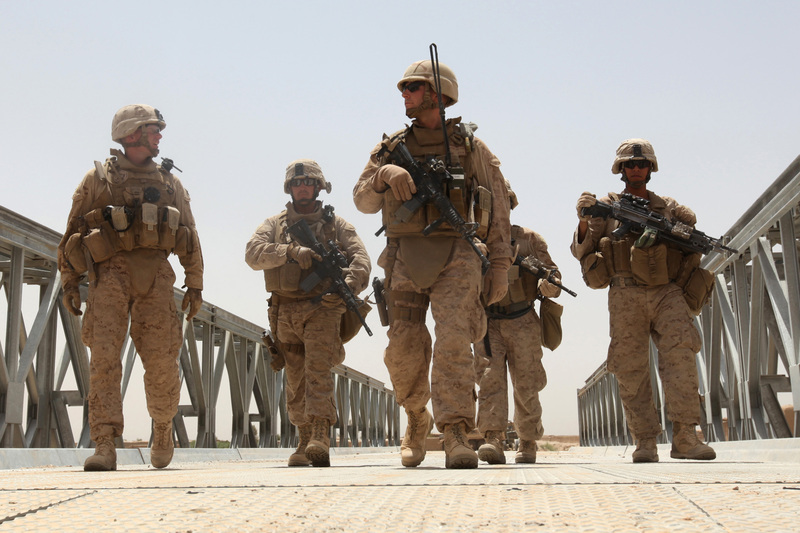 Johnathan R. Flynn (middle), officer in charge of Naval Mobile Construction Battalion 5, escorts Lt. Col. Brian Christmas (far left), battalion commander of 3rd Battalion, 6th Marines, across a newly-constructed bridge in northern Marjah, Helmand province, Afghanistan, June 26. Marines, Sailors and Soldiers worked side-by-side for about a week constructing the bridge, which will provide more freedom of movement for locals and safer access to Marjah for coalition forces.